The last days VCSA 6.7.0a gets GA. In this post I want to show the upgrade from VCSA 6.5 U1 to VCSA 6.7.0 (not a). In my other post (Update VCSA 6.7) I’ve made the update from 6.7.0 to 6.7.0a. First thing to know is, there is no support to upgrade from 6.5 U2 to 6.7.0! So, if you are planning to update your existing VCSA 6.5 to Update 2 you have to wait for the (maybe) VCSA 6.7 Update 1 to migrate to 6.7. For example there is also no support from Veeam Backup & Replication 9.5 Update 3 for vSphere 6.7 (www.veeam.com) Support will come with the next update. 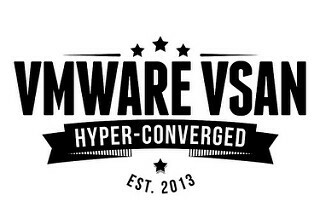 Hyper-Converged systems like Virtual SAN are well known for their abilities to scale out linearly. Scaling out storage performance and capacity relative to compute resources is a powerful concept. By simply adding nodes to a cluster, it allows for these resources to grow proportionally in a way that meets technical demands, while using a more The post Options in scalability with Virtual SAN appeared first on Virtual Blocks.